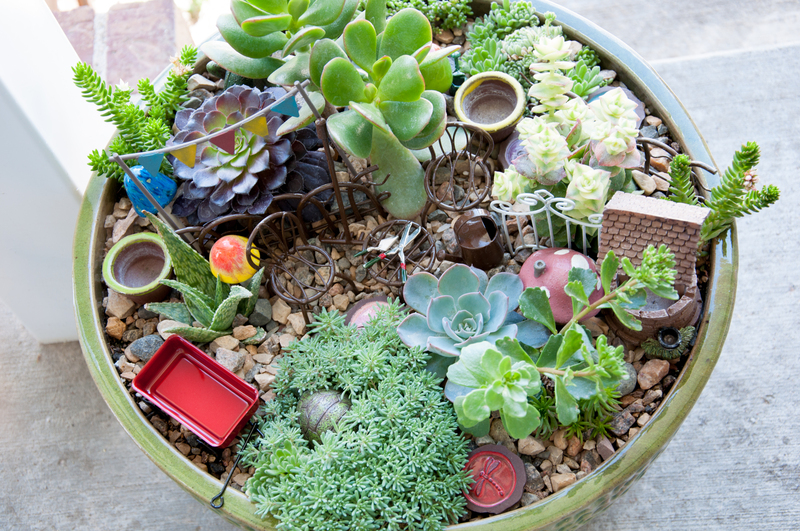 succulent garden – Snap. Eat. Run. 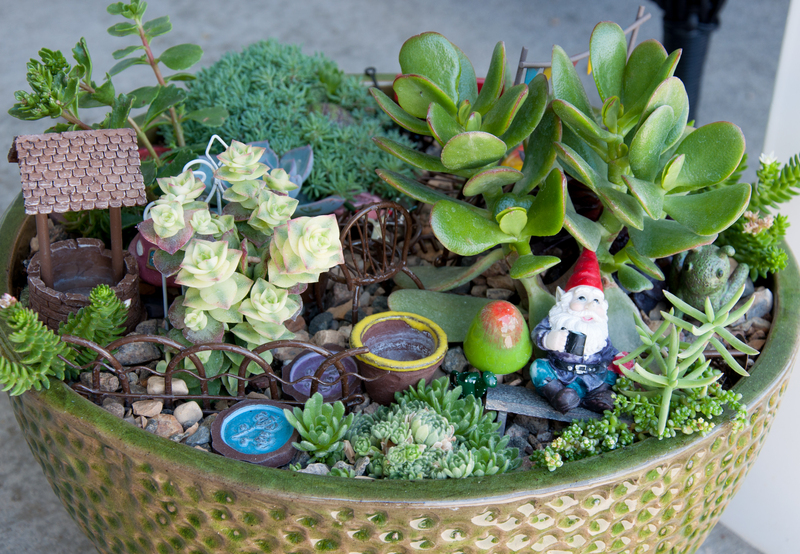 On my last visit home, inside Yarrow Acres, a lovely gardening shop on Main Street, I discovered something wonderful – fairy gardens. I know these are not a new phenomenon, but somehow, I had never seen one before! I love all things miniature and really, really wanted one to call my own. My first step was to turn to Pinterest. I searched the web for all things fairy. There are all kinds of wonderful crafters on Etsy, creating tiny houses, furniture, animals, fruits and vegetables, everything you need! Another great resource is the dollhouse section of Hobby Lobby…just don’t forget your 40% off coupon! When it came down to the wire, though, I wasn’t confident in my ability to plant the fairy garden. Accessorizing and decorating it? No problem. But no one has ever accused me of having a green thumb. My garden was custom made, so I had to be patient. We picked up my lovely last weekend. I adore it! I added the little red wagon, the pennant, and the tiny gardening tools, but the rest is exactly the way it came from Lowe’s. I need to get some tiny flowers and maybe some veggies to add to the pots. I love my fairy garden, and I’m really glad I didn’t try to tackle it myself. You’d probably be seeing me on one of those Pinterest fail lists if I had.